Here at Frank Kent CDJR in Ennis, Texas, we are the Jeep dealership near Fort Worth that residents turn to when they want to purchase a Jeep vehicle. We’ve been in business for more than 10 years, having first opened in 2007. 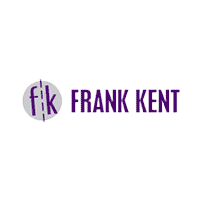 Named for the founder, we are proud to be part of the Frank Kent legacy. We take pride in prioritizing our customers’ needs and providing our customers with excellent customer service as we help them address those needs. Don’t take our word for it. Listen to what our customers have said about their car-buying experience. We provide a continuously updated section of our website dedicated to streaming our customers’ testimonials and our dedication to our customers has earned us the Customer First Award for Excellence in 2018. We look forward to continuing to build our mark of excellence in making the car-buying experience one that’s positive for every customer we have the privilege to serve. As part of our commitment to our existing and prospective customers, we offer the four-point Frank Kent Pre-Owned Promise for our used-car inventory. We guarantee our customers will not experience continuous negotiations when it comes to our prices. We deem our pricing haggle-free, as such we aim to always be transparent and we conduct daily pricing reviews to ensure we are offering the best prices available. We offer the Frank Kent Certified Pre-Owned Warranty. Our warranty includes a 128-point inspection and a 2-year/100,000-mile limited warranty where customers receive one year of roadside assistance, courtesy of Road America’s Auto Assist Program. The Auto Assist Program covers typical services such as towing and fuel delivery, but it also covers two days of reimbursement for rental-car services and travel expenses when you’re traveling out of town. We work hard to streamline the car-buying experience. If you decide to sell your vehicle, and you select our Jeep dealership as the buyer, you are not obligated to purchase a vehicle from us. Our satisfaction is in being able to offer a fair price for your vehicle that you are pleased with. Our Jeep dealership works with several top lenders to offer our customers the best financing options to meet their needs and budget. We offer loans and leases and our sales team can help you determine which option is best for your specific situation. If you are looking to get a general idea regarding payments on a particular vehicle, you can use our online payment calculator directly from our website. 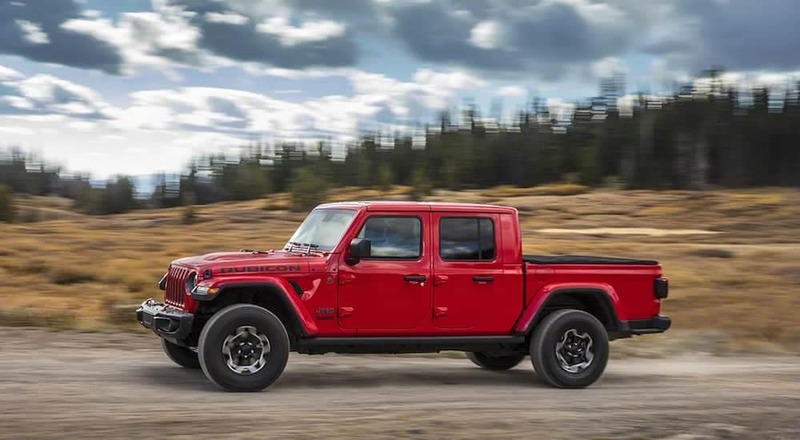 The payment estimation is based information such as interest rate, length of your contract and down payment and is available before you come into our Jeep dealership near Fort Worth. If you want to get a more specific financial analysis, you can speak to a member of our sales team or visit our website to complete an application for financing. If you are considering trading in your current vehicle as a down payment toward your next vehicle, you can use another of our website tools to value your trade ahead of time. Once you’re ready to get the process started, our sales team and finance department are available to answer any questions regarding and provide assistance with financing. Come in or give us a call, we’re here to help. Here are some of the great services we get to offer as part of our on-site service department. Here at Frank Kent CDJR, our service department staff are certified technicians. Every service appointment is performed to the specifications outlined by Jeep’s manufacturer standards. Only OEM or original equipment manufacturer parts are used for all repairs. And to top it all off, all services performed are guaranteed. We make it easy to schedule service appointments. You have the option of calling us or using our online service request form. Our service department is open six days a week. If you have a tight schedule, consider using our Mopar Express Lane. We provide fast oil changes and maintenance services. Our hours of operation are open Monday thru Friday from 7 a.m. to 7 p.m. We are also open on Saturday from 7:30 a.m. to 4:30 p.m. You don’t need an appointment. As a Mopar Express Lane dealership, you simply stop in, tell us what’s going on and we’ll take care of your service needs. If you’re thinking about accessorizing your vehicle or you have already made the decision to do so, we would like to extend an invitation to browse our accessory catalog in-person or online. We offer accessories ranging from license plates to roof bicycle carriers to cargo totes. We will work hard to help you find the right accessories to personalize your vehicle. Our service department staff also provide videos that explain the importance of and demonstrate a wide array of vehicle services. Our goal is to educate our customers on what takes place when you’re vehicle enters our service center. We also want to help you understand how our service department plays an important role in helping you maintain and extend the life of your vehicle. Here are some of the many ways you can get a hold of us for any questions or concerns you may have. When you visit our website a chat box pops up. It’s our way of immediately giving you our undivided attention to answer questions and provide information regarding our dealership, financing, our service department and our new and used car inventory. You will also notice a texting prompt on our website. Just as you can text with other businesses and individuals, you can also text with our staff. Our telephone number is easily accessible via our website, and it’s available on any marketing materials. Maybe you would like to speak directly to a staff member. That’s okay as well. You can feel free to call us anytime during regular business hours. We’re happy to talk with you. If you prefer to submit your request in writing, you can complete our online contact form. Once received, a member of our sales staff will reach out with whatever information you need. We are also available on social media. We have an active Facebook page and we strive to keep it updated with news regarding our inventory, including new arrivals. We also like to interact with your customers, sharing various vehicle facts and just having a conversation. We would love to have you connect with us on Facebook. Whether you’re here in Ennis, over in Fort Worth or down in Galveston, we want to encourage you to visit our dealership when you’re in the market for your next Jeep vehicle. We would like to provide an in-person demonstration of our family motto of “morals, values and ethics before profit.” We’re want to be the dealership that not only earns your business, but also earns your trust.